Athens is not only Acropolis, Parthenon and Monasteraki Square. 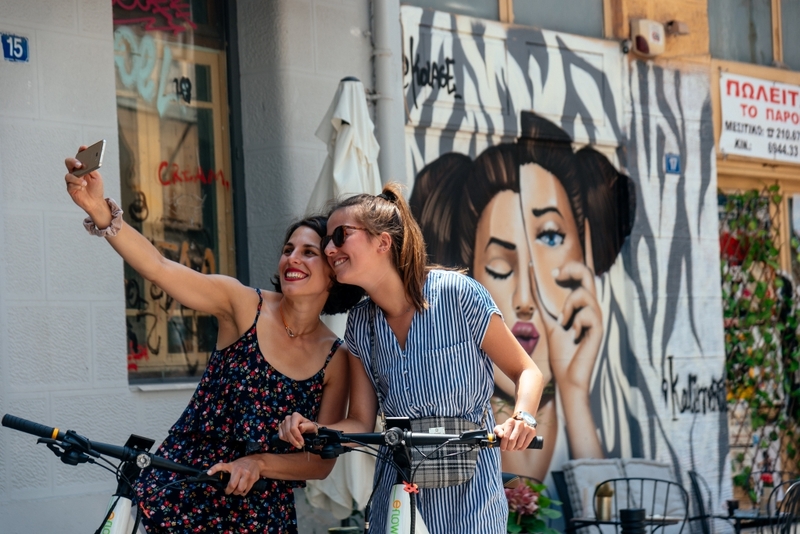 So for those who have seen the historic sights and would like to get on an e-bike and explore another side of Athens, this Private Urban Life & Street Art tour is really something we would like to share with you. Back streets, local markets, non-touristic shopping streets, and in general areas visitors most of the time do not go! Experience the alternative area of Athens where mostly locals prefer to go. Get to know where Greeks shop, have a nice greek coffee or some local Greek Mezes (optional) and see some of the most magnificent street art and architecture. We will not disclose everything you will see but after having seen the well know ancient sights, be sure that this private ride is well worth it for those who want to see the alternative urban live of Athens and experience the real local Greek life. Before you decide on choosing to do this tour we have to tell you that there will be some cycling on busy streets... so good and “no fear” biking skills are a must. This tour is available in English, Dutch, French and upon request German, Spanish & Italian, if the language is imperative request it first before making payment online. Discounts for families/groups from 5 and over paying persons.